Cognac leather wallet made from supple cow leather, model Penelope by Harbour 2nd. 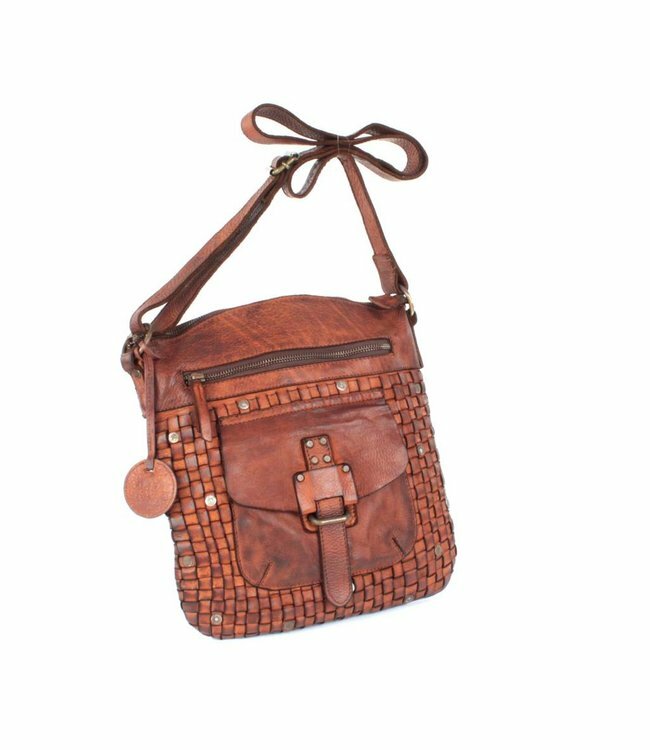 The leather of the front is braided and has small metal studs. Wallet in a nice size. Read more..
Cognac leather wallet made from supple cow leather, model Penelope by Harbour 2nd. At the front of the wallet the leather is braided and has small metal studs. At the back the leather is plain. A wallet in a nice compact size. The wallet has a zipper around and has one compartment. On the inside of the wallet are eight compartments for the cards. In the middle is a compartment with zipper for change and on each side a slip pocket for paper money or other papers.